The Ritz | Spa Inc.
At the Spa at The Ritz-Carlton, Toronto, they take things personally. After being open for only one year, the spa— which also includes a yoga and fitness studio, lap pool, and beauty bar—has already undergone a transformation that will allow staff to improve and enhance the wellness concept. "We had this beautiful spa and all of these amazing components, and we were looking at a way we could unify all of those areas," says Maria Haggo, spa operations manager. "How we could tie it all together under one concept and really make everything customized? We realized most of our guests were looking for very personalized, very customized experiences." 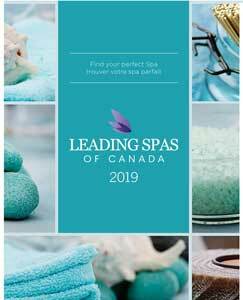 The solution was to introduce Spa My Blend by Clarins, a skincare system that originated in Paris and is available exclusively in Canada at The Ritz-Carlton. This ultra-personalized experience begins with a thorough, 20-minute skin analysis by a skin coach using state-of-the-art diagnostic imaging technology. 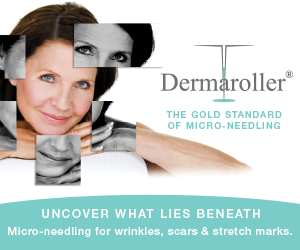 After identifying the effects of lifestyle, environment, and life stage factors on the client's complexion, a facial treatment is prescribed using a unique blend of customized products and personalized booster serums to address the issues identified (such as pigmentation, fine lines, or sensitivity). The corrective therapies, with optimum concentrations of peptide complexes, vitamins, and plant extracts, increase the skin's natural defense potential, strengthen its regenerating capacity, and protect it from premature damage. Including support products such as cleansers, exfoliators, and eye creams, there are a possible 200 skincare regimens a coach can create. "I'm convinced this is the way forward for the spa," says Haggo adding her spa guests want custom made, not generic. "They want things that are tailor made to them so they can get the most out of the precious time that they have in the spa, in the gym, in the yoga studio, or whatever it might be." The spa decor also feels quite personal. 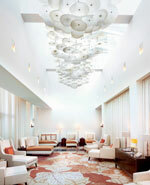 The inspiration throughout the hotel was Canadiana, with a truly local flavour brought in through art. The colour scheme is calming, based on the transitioning of the seasons with lots of leaves and burnt oranges. "It's supposed to represent transformation," says Haggo, "whether it's the transition of the guest coming to the spa and moving from stress to relaxation, or transitioning into a new you." The overall feeling is warm and comfortable, not overtly masculine or feminine. Timeless. Elegant. Serene. Textural. Lots of natural light flows into the space, even into some of the treatment rooms. Its own transformation complete, the focus now for the spa is to go deeper into helping clients achieve greater overall health and wellness. 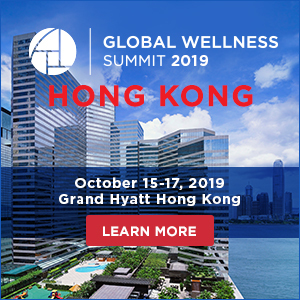 Haggo is looking to increased collaboration with experts in the field to elevate the spa to a centre for wellness and a source of information for guests to learn how to eat, sleep, and live better. "It is already our solid concept but it's a never-ending journey of learning. 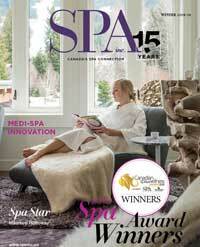 Things change all the time so we'll be changing too, bringing the best-of-the-best to the spa."